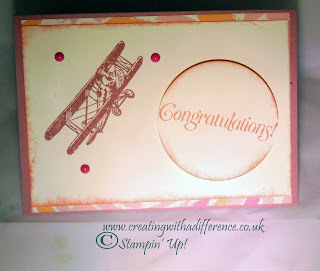 Here are the cards my class made at my catalogue launch. 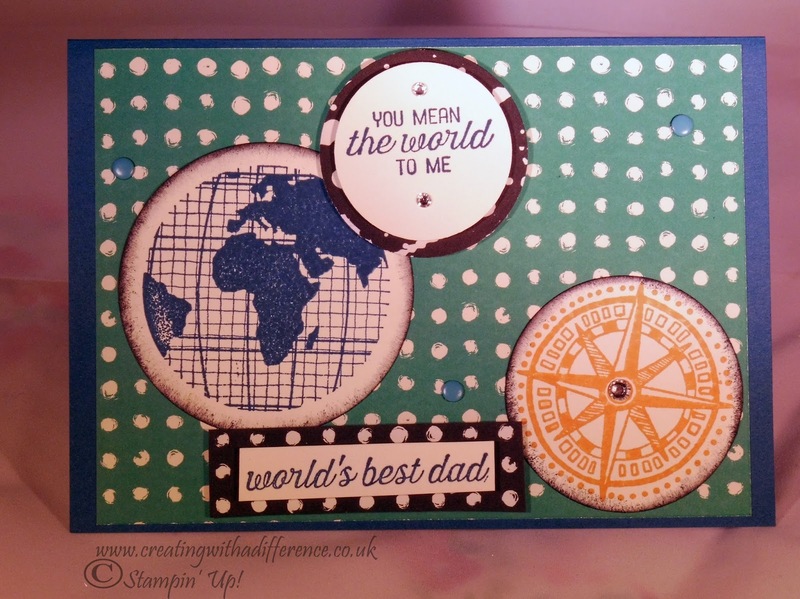 The first card is my design for Fathers Day which everyone did a variation of and the second card is mine I made when they were making 'free-style' cards of their choice. I am so proud of everyone! They done an amazing job and really enjoyed themselves. That has boosted my confidence so much and now I do 4-6 classes a month plus an extra special one for our angels. I wanted to share with you as they are all so proud, they also took all of the photography of their cards as well. 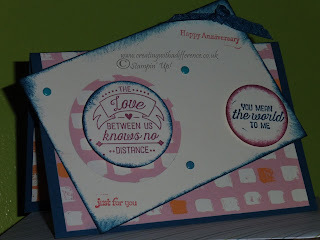 I think this was a nice added touch as they went through the process that bloggers and professional crafters do. This made them feel extra special I think. 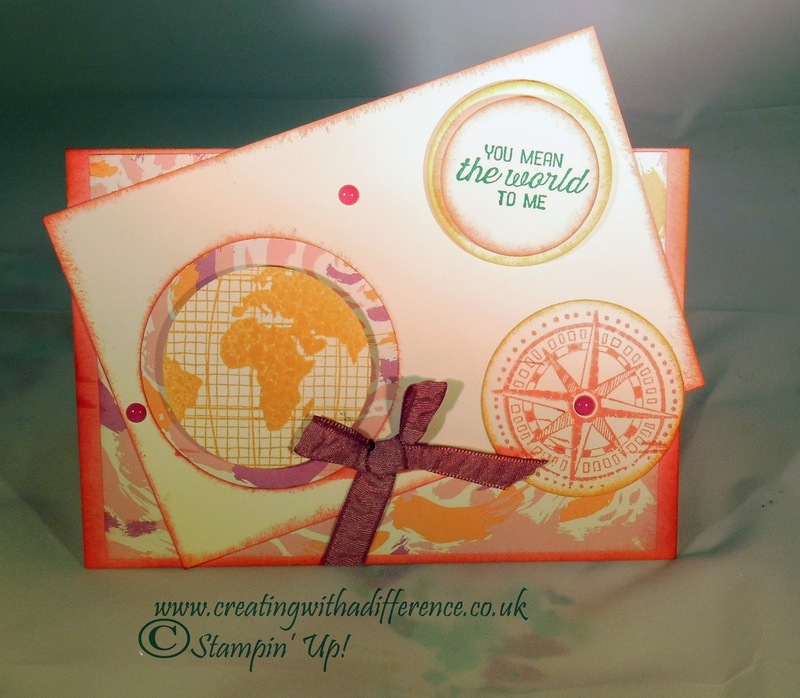 We used the circle punches to punch out our world, sentiments and compass. 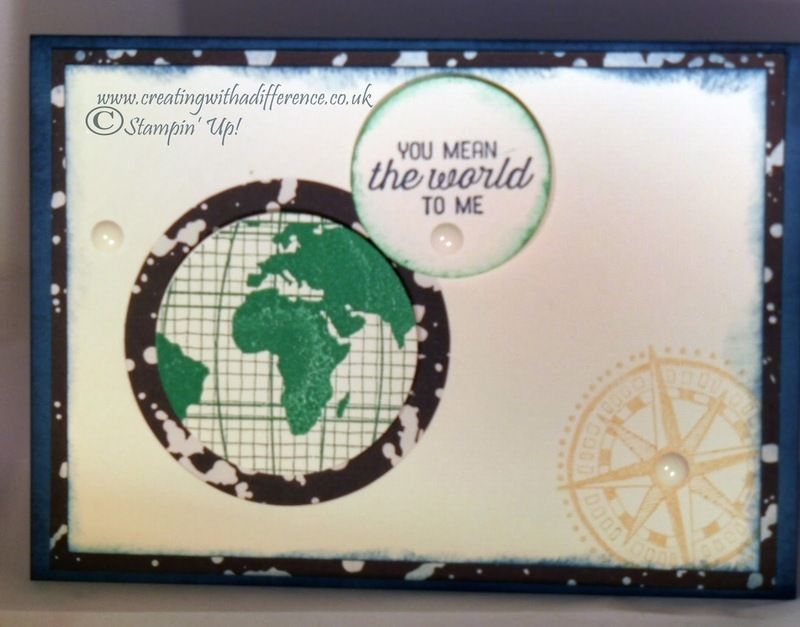 We also cut a circle out of the very vanilla base so you could see the patterned paper around the world image. The girls all used slightly different sentiments as they didn't all need Father's Day cards although that was the original design. That's why I used this stamp set as it could be used for different occasions. 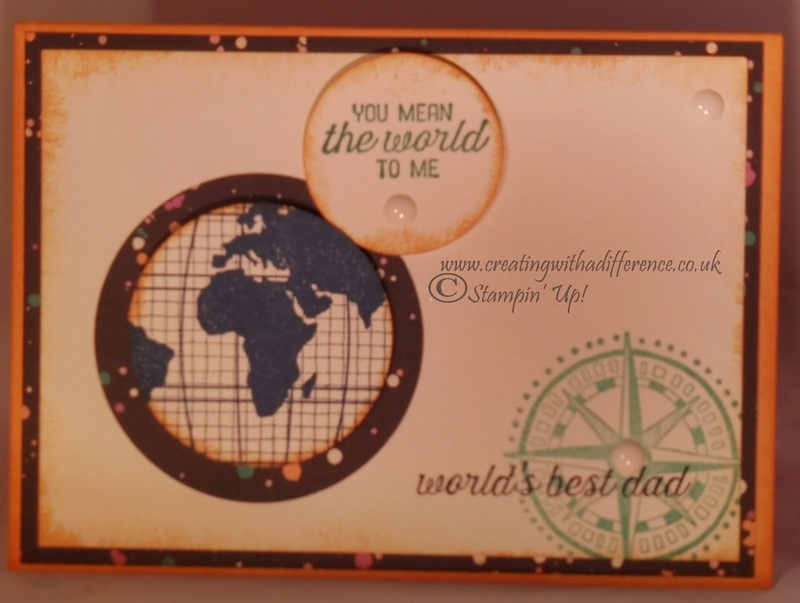 Everyone layered their sentiments and images differently but I think they all turned out great! We then added embellishments to the cards. 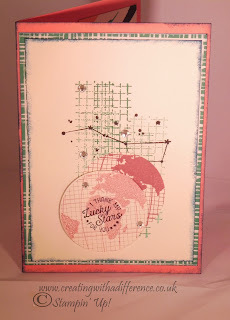 These were ribbon or enamel dots. Some of the dots and the candy dots have now retired but you can pick other embellishments from the catalogue. Here is a list of the supplies we used - (some have retired but you can still find similar products in the catalogue to CASE this design. For those that don't know CASE stands for COPY AND SHARE EVERYTHING. This means you use others designs as inspiration and re-do them yourself. It is best practise to link the original project/person where possible.